West Virginia currently has three Medicaid waivers/programs that can serve children, including a TEFRA program and two home and community based 1915(c) waivers. The TEFRA program is based only on child income without regard to parent income, while the DD and TBI waivers do count parent income. For more information, see West Virginia's Medicaid Waivers page. 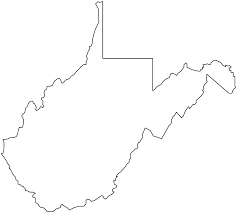 West Virginia also has an adult-only waiver for Aged and Disabled. How to Apply: Contact the Program Manager at (304) 356-4867. Description from medicaid.gov: Provides facility based day habilitation, participant-centered support, respite, service coordination, supported employment, FMS-participant-directed, crisis services, dietary therapy, electronic monitoring/surveillance system and on-site response, environmental accessibility adaptations-home, environmental accessibility adaptations-vehicle, goods and services-participant-directed, OT, PT, positive behavioral support professional, skilled nursing-nursing services by a LPN, skilled nursing-nursing services by a LRN, speech therapy, therapeutic consultant, transportation for individuals with ID/DD, ages 0 - no max age. How to Apply: Contact the Program Manager at (304) 356-4853 or follow these application instructions. Waiting List: There are 1260 people with developmental disabilities on West Virginia's waiting list. Target Population: Children and adults with traumatic brain injuries. Description from medicaid.gov: Provides case management, personal attendant services, and transportation to individuals with brain injuries, ages 3 - no max age. How to Apply: Contact the Program Manager at (304) 356-4924 or follow these application instructions. Waiting List: There are 1260 people with developmental disabilities and 6 with TBI/SCI on West Virginia's waiting list.